Blackwood Limousine is a boutique limousine company providing exceptional service in meticulously maintained vehicles at an unbelievable price. Blackwood Limousine is a small boutique limousine company committed to providing its clients with top of the line equipment and the best customer service in the business. Blackwood Limousine is redefining to the word "service". Value at it's absolute best! Founded by a group of veteran chauffeurs, Blackwood Limousine really knows what is desired and expected by our clients and how to best fulfill these expectations and needs. From our brand new BMW 750Li and Mercedes Benz S class sedans, to the classic extended version of the Lincoln Town Car and new Cadillac Escalade ESV's, we offer nothing but impeccably maintained vehicles. 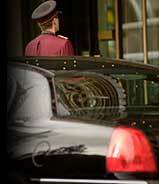 Coupled with some of the most experienced chauffeurs in the business, it's truly a special experience. What can you expect to pay for such service? Prepare to be pleasantly surprised by our extremely competitive and affordable rates. Take a look at our pricing guide and you will soon realize that with Blackwood Limousine you get the very best that the limousine industry has to offer for less than you ever thought possible. So, whatever your transportation needs may be, try Blackwood Limousine and experience what our clients are raving about. Blackwood Limousine, serving your needs nationwide. (*) Through Blackwood Limousine affiliates. Professionalism and courtesy is always our number one priority! © Blackwood Limousine, All Rights Reserved. Site Development and Maintenance by Progressive Element, Inc.